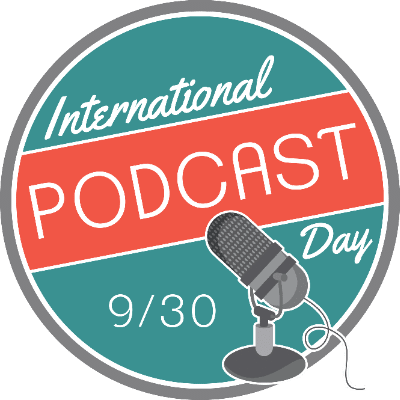 International Podcast Day is a collective effort from the podcast community to celebrate the power of podcasts. Our day is an international celebration of the craft we love. The celebration goes beyond joining the 30-hour worldwide streaming event planned by the team. 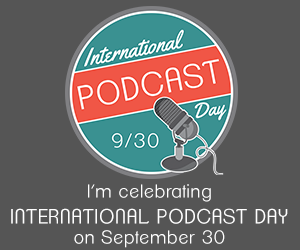 It’s about sharing the important role podcasts play in our daily routine. It’s about recognizing that podcasts expose us to people, ideas, and parts of the world we never thought we’d meet. The streaming event is just a fraction of the education, outreach, and experience provided. We aim to energize new podcasters. We aim to share the power of voice by reaching those who have never listened to a podcast. We aim to provide tools and information for podcasters to improve their content. We aim to provide an avenue and a vehicle to move podcasting to a new height. The celebration isn’t about us; it is about you. How we celebrate lies in the hands and hearts of individuals celebrating in their own unique way. We encourage each of you to consider how you will use your voice, your community, your power, and your connection to bring people together. 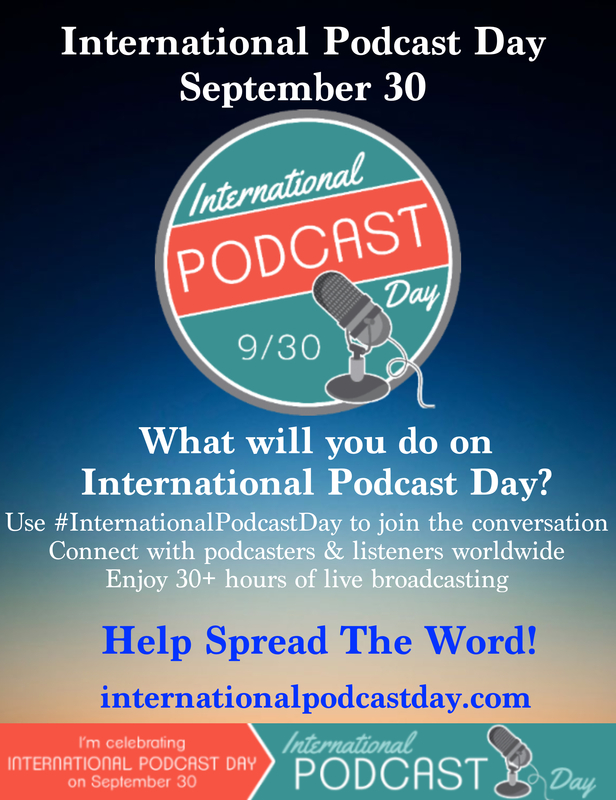 You can arrange of meet-up with podcasters and podcast enthusiasts. 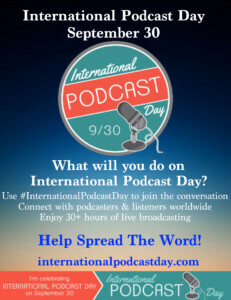 You can contact local media and share the real power of podcasts. You can reach out to your favorite host and thank them. 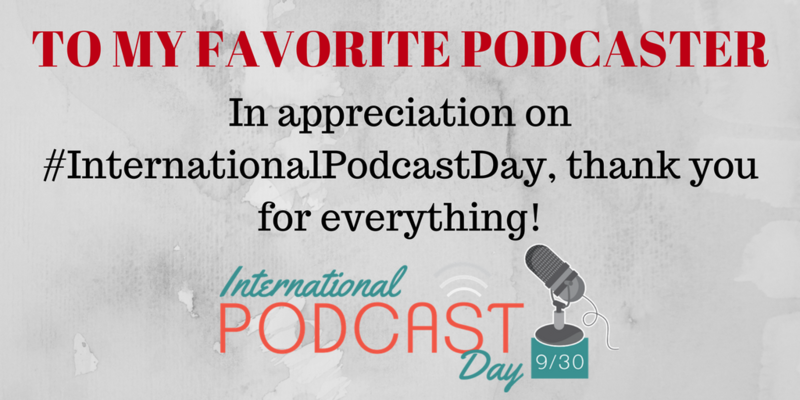 However you choose to celebrate, we collectively raise the podcast community and grow the media we all love so much. Have fun celebrating! We are truly an international community. Help spread the world and share in the creativeness and art we collectively work so hard to produce. 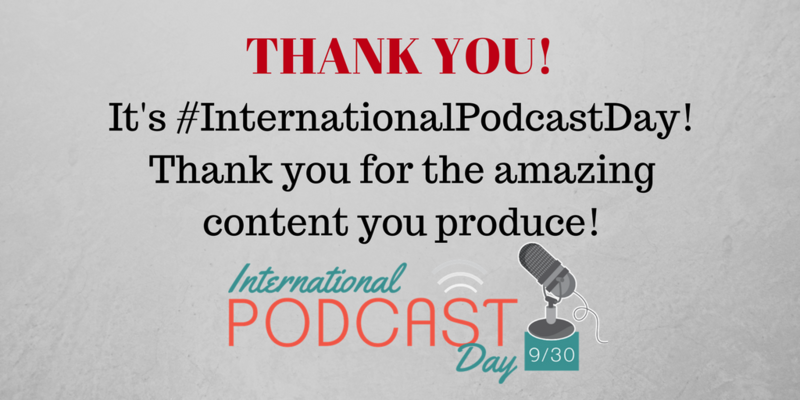 Send a Social Media Thank You card to your favorite podcast or Podcaster. 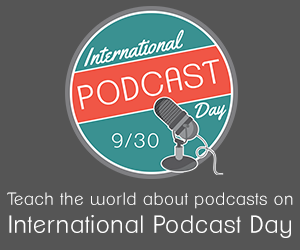 You can help celebrate the day-long event by purchasing International Podcast Day merchandise. And because the celebration happens ever year on September 30, your items will be good for years to come.